Synchronised swimming is a combination of swimming, dance and gymnastics. 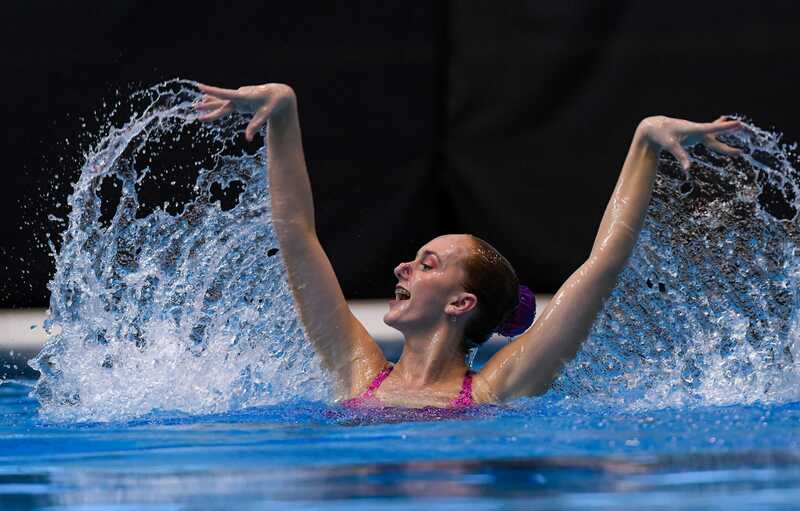 Swimmers perform a synchronised routine (either solos, duets or teams) or elaborate moves in the water accompanied by music. Synchronised swimming develops advanced water skills, great strength, endurance, flexibility, grace, artistry and precise timing, as well as exceptional breath control when upside down underwater. Tauranga Synchro has been in operation since 2007. We are an incorporated society governed by a constitution and we are reaping the benefits from all the hard work that has been put in by both the girls and parents. We are affiliated to the national body, Synchro Swim New Zealand, and there are ten other clubs around the country. The sport is governed internationally by FINA. Tauranga Synchro trains at Baywave Aquatic Centre, Mount Maunganui. See Classes and Fees page for more information. To try synchro, you must be a competent swimmer, happy to swim underwater and confident out of your depth. Previous experience of gymnastics or dance is hepful, but not as important as enthusiasm and a positive attitude. Girls usually start anywhere between the ages of 7 and 11. The first Saturday of every month, you are welcome to join us in the Baywave pool for a FREE trial lesson to see if synchro is something you would like to try (Baywave entry applies). Please call us to make sure we know to expect you. Phone Jo on 027 543 1697. Interested in becoming a synchro judge?